Obviously the two major events in my life this year (the new book and the new gig at Christie’s) got the most attention. Although I have less time than before to dedicate to this blog, I do my utmost best to keep it as alive as possible. I am very happy to notice it is still going strong – on average the site now has about 500 daily visitors! This is in fact the 500th post. Thank you for your continued interest and company. It means a great deal to me. I’d like to wish all my readers a very merry Christmas and a joyful New Year! Many thanks for all the continued interest and support. 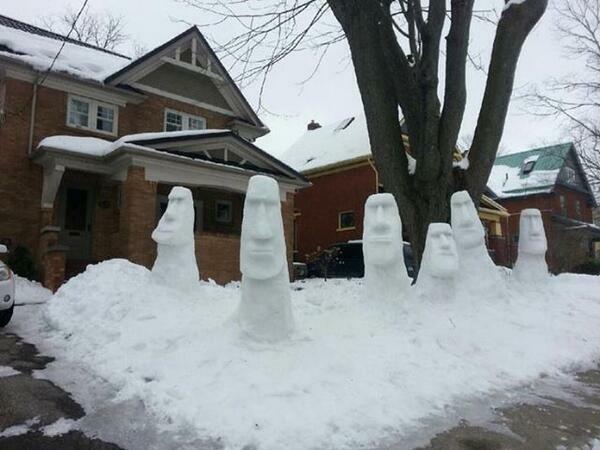 ps unfortunately we don’t have snow in Antwerp this year (again), but if you do: be creative ! This entry was posted in News on December 23, 2016 by admin. 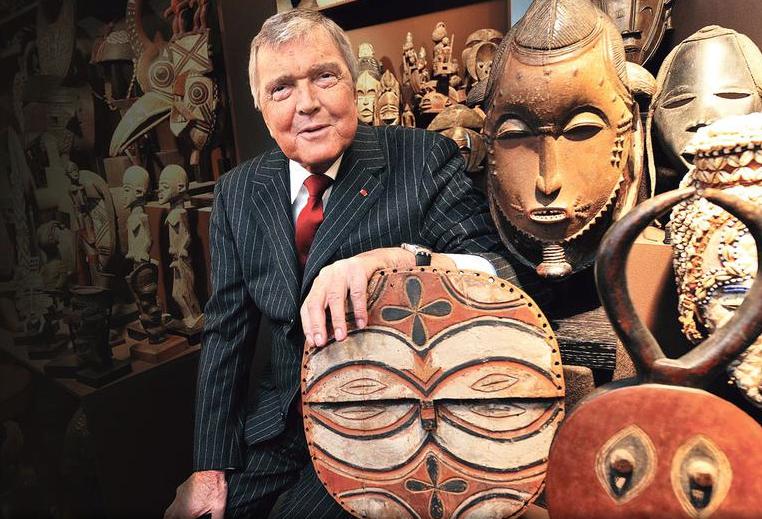 I’m sorry to inform you about the passing of a great promotor of African Art (among many other things), Jean Paul Barbier-Mueller. The French newspaper Le Figaro just broke the news of his death here. 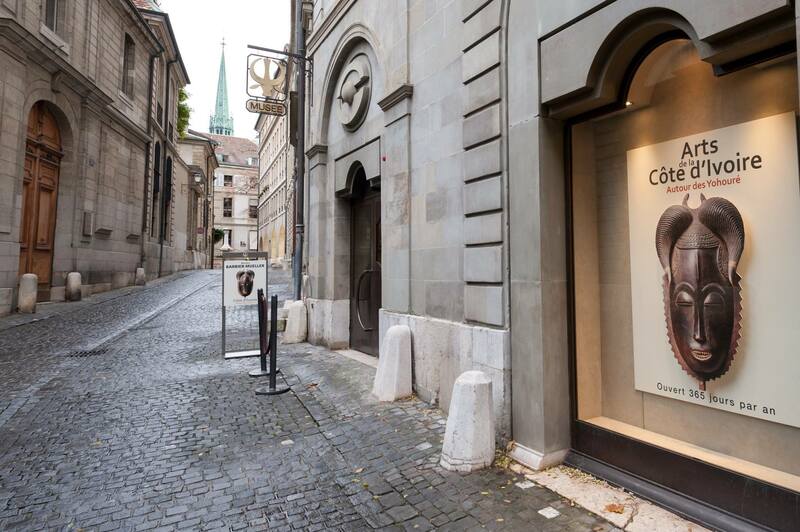 Coincidently I just had a blog post ready to praise his private museum in Geneva – which must probably be the only museum in the world that is open every day ! Yes, even on Christmas and the 1st of January. They just opened a new splendid exhibition on the art of the Yaure (info), the first ever on the subject and accompanied by an excellent catalogue by Alain-Michel Boyer. Once again, a testament of its founder’s unquenchable quest for knowledge and his bounteous will to share it with the world. We’ll surely see many praiseful tributes to this true connoisseur and renaissance-man in the coming days. The world needs more people like him, that he might become an inspiration for many. This entry was posted in Collectors, News on December 23, 2016 by admin. I’m very proud to report about my first “White Glove Sale” (an auction in which every single lot sells, for a perfect 100 percent sell-through rate): Aristide Courtois, Charles Ratton: At the heart of the Madeleine Meunier Collection, sold by Christie’s, in collaboration with Millon, last week in Paris. You can find the pdf of the catalogue here. 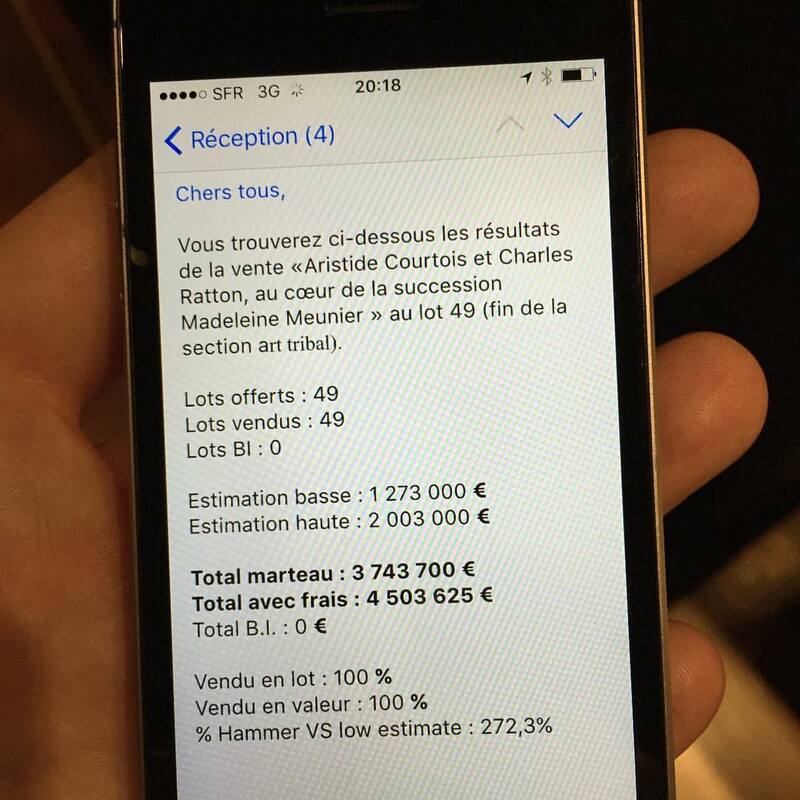 The sale made a total of € 4,5 million, doubling the pre-sale total high estimate! You can browse the results here. 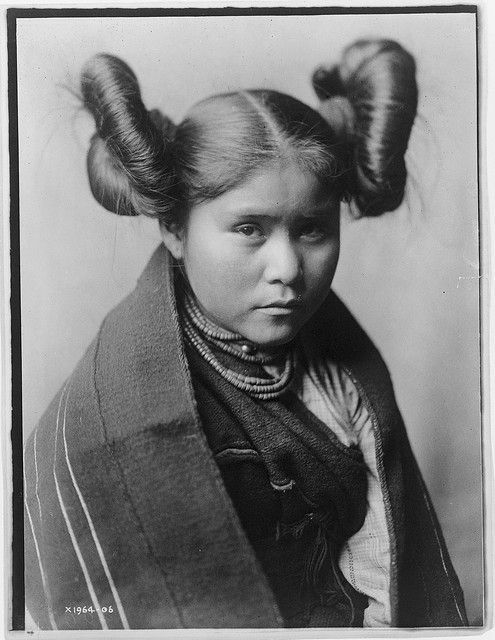 Many world records were broken, the star of the show of course being the beautifully complex Luba-Shankadi headrest of the Master of the Cascade Coiffure that graced the front cover. This masterpiece of African art was sold to a distinguished private collector for € 2,295,078 – a new record for a work of this artist. I intentionally used the word ‘historic’ two times in this posts’ title, because it truly was such a moment. Never again will we see a collection like this appear at auction. None of these objects had been on the market before and all had passed through the hands of two important champions of African art: Aristide Courtois and Charles Ratton. It was a privilege for me to work with such a collection and very rewarding to see that everybody was at the appointment; thanks for your interest and participation. These objects are in fact just at the beginning of their ‘career’; none of them had been published or exhibited before, but I’m sure we’ll see many of them again soon. Carefully safeguarded by Madeleine Meunier for almost half a century, these treasures surely will bring much joy to their new owners. At Meunier’s specific request the sale took place at Drouot, where Charles Ratton himself had organized so many historic auctions, and this resulted in a very special atmosphere in the packed auction room during the sale. From the start, one object after the other shattered its estimate. Of course we deliberately had kept these low to stimulate the bidders’ enthusiasm, which resulted in some intense bidding wars – just like in the good old days. There surely was a lot of passion in the room! Also during the viewing days, it was such a delight to meet and discuss the objects with so many passionate collectors, scholars and dealers. 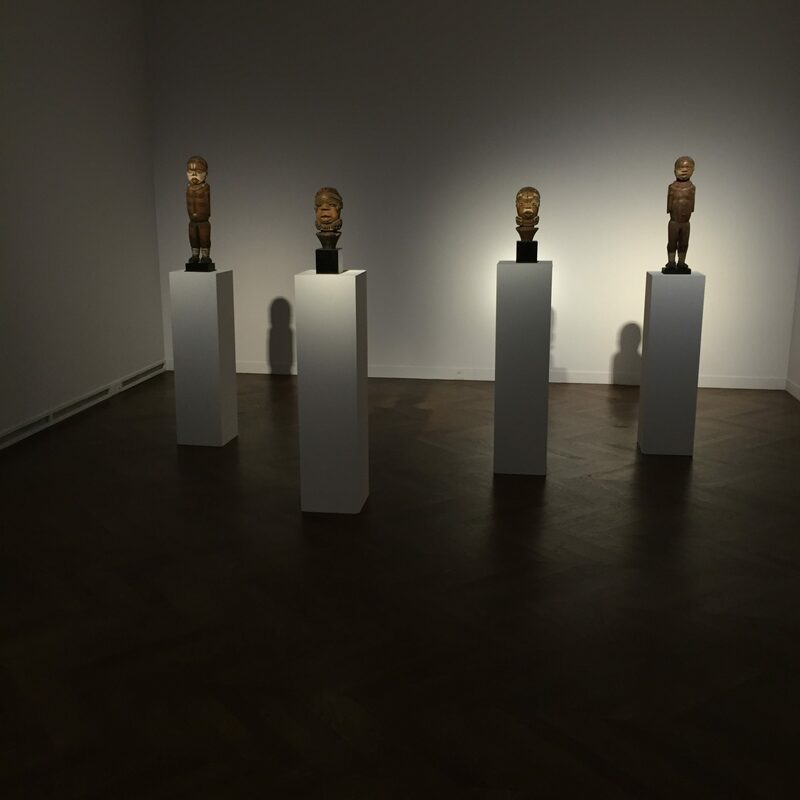 To finish, my favorite view of the exhibition: our ‘Kuyu’ room, highlighting the 2 Kuyu statues and 2 Kuyu heads collected by Aristide Courtois in Congo Brazzaville, here presented together for a very last time (after being together for almost a century) before they parted ways.. This entry was posted in Auctions, News and tagged Luba-Shankadi on December 23, 2016 by admin. 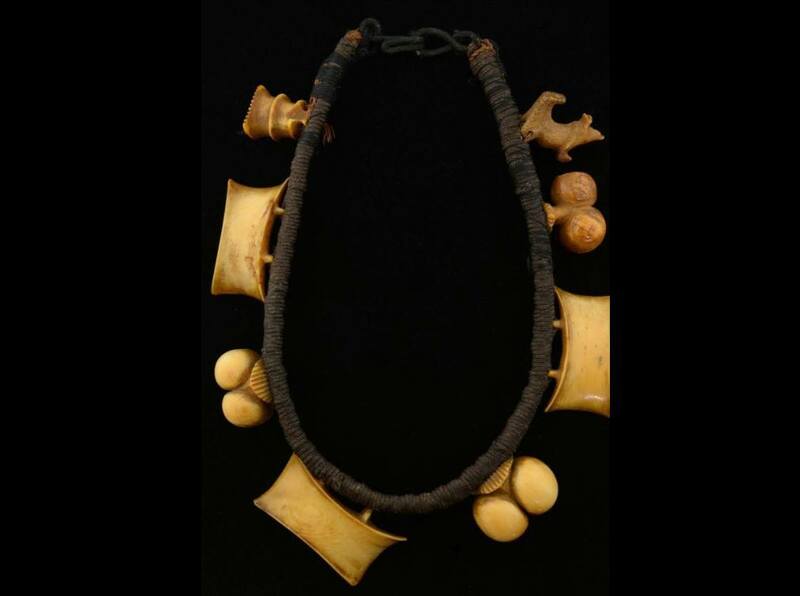 Austral Islands necklaces are among the rarest and most sought after of all Polynesian artifacts. 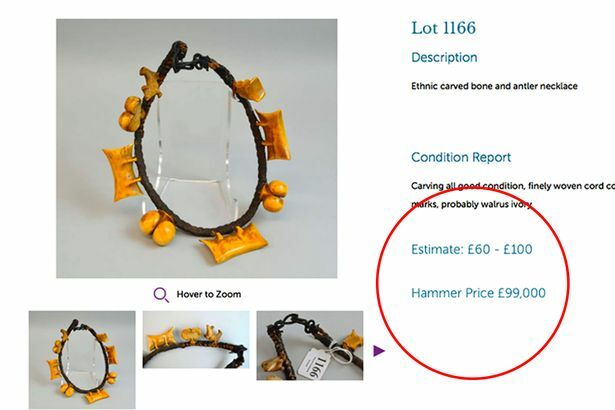 It was thus no surprise that when a newly discovered example popped up in a small auction in the UK, listed as an ‘ethnic carved bone and antler necklace’ and with an estimate of only £60-100, it was sold for £125,000 (including premium). The lucky seller runs a house clearance firm and found the item among the contents of an empty property he had been tasked to clear. He had no idea of its value and arrived at a jumble sale with a view of selling it for £15. But he had a change of heart at the last moment and decided to pop across the road to an auction house for experts there to have a look at. They believed it to be an 18th century ethnic carved bone and antler necklace and told him it might be worth between £60 and £100. However, Auctioneer Chris Ewbank started to suspect he underestimated the item in the days leading up to the sale when potential buyers booked up phone lines and left preliminary bids. And when it went under the hammer on 2 December at Ewbank’s Auctions of Surrey (UK), three bidders forced the bidding up to a staggering £99,000. With fees added on the Paris-based winning bidder will pay £125,000 for it. The iconic status of these ornaments is enhanced by a certain mystery which has surrounded their place of origin. In establishing this it will be helpful to begin with the “testicle” pendants which are known in a variety of sizes and materials (ivory, bone, wood). In the official account of Captain Cook’s last voyage we find a description of the natives of Atiu, one of the southern Cook Islands: “Some, who were of a superior class, and also the Chiefs, had two little balls, with a common base, made from the bone of some animal, which hung round the neck, with a great many folds of small cord” (Cook, 1784). William Wyatt Gill of the London Missionary Society noted that such objects were worn as ear ornaments by the chiefs of Mangaia, the southernmost of the Cook Islands (Gill,1894). Later, E.L.Gruning, who lived in the Cook Islands from 1905 to 1914, carried out an exploration of Atiu during which he had himself lowered into a cave of unknown depth at the end of a makeshift liana rope. His courage was rewarded by the discovery of human skeletons and two “phallic ornaments”, one suspended from braided human hair, in the manner of a Hawaiian lei niho palaoa. He notes that these ornaments “are reputed to have been worn only by champion warriors of the island, who had the right of possessing any woman, married or single, while wearing one” (Gruning, 1937). The term “phallic”, used by several authors to describe these pendants, is of course a mistake. They may well represent testicles but certainly not a phallus. It is thus certain that individual testicle pendants were worn as chiefly ornaments in at least two of the Cook Islands in the eighteenth and early nineteenth centuries. Very possibly they were similarly used in the neighbouring Austral Islands since there was canoe contact, both deliberate and accidental, between the island groups. If we now turn to the composite necklaces themselves we find the evidence of origin much less clear, no doubt because early records for the Austral Islands are extremely sparse. In his monumental Album (1890) Edge-Partington published a fine example, attributing it to Mangaia (plate17, no.2). Te Rangi Hiroa (Peter Buck, 1944) gave a detailed account based on the ten necklaces known to him and held in various institutions: British Museum (2), Cambridge University Museum, England (2), Royal Scottish Museum, Edinburgh (1), Boulogne Museum (1), Peabody Museum, Cambridge, Massachusetts (1) and the Oldman Collection (3). He also attributes these necklaces to Mangaia, but suggests a close connection with Rurutu in the Austral group. Significantly, Buck states that the pig was unknown in Mangaia but was present in Rurutu (ibid.). More recently Roger Duff pointed firmly to the Australs as the origin for these necklaces on the basis of old missionary attributions for three examples not known to Buck. Two, now in the Canterbury Museum, New Zealand, were previously in the Wisbech Museum, England, where they were described as “Necklaces from Rurutu, Austral Islands. 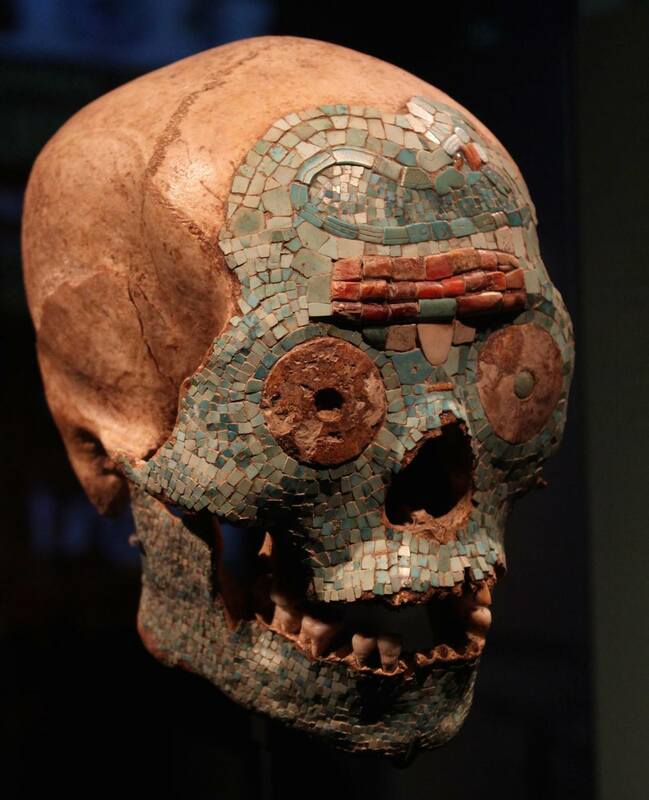 Composed of the fibres of cocoanut, human hair and bones; worn as a memorial of friendship. Rev. Wm. Ellis 26.8.1841”. Duff notes that a third necklace, in the Saffron Walden Museum, England, is also attributed to the Australs and specifically to the island of Tupua’i (Duff, 1969). A persuasive argument in favour of the Austral Islands derives from comparative morphology. The famous figure of A’a in the British Museum (Harding, 1994) is certainly from the Australs – it was given up to John Williams of the London Missionary Society in 1821 by a party of Rurutu islanders. The small figures (“demigods”) carved on this sculpture closely resemble those on a whalebone bowl of typical Australs form (Oldman collection no. 476, now in the Auckland Museum). This bowl has a handle in the form of two pig figures identical in style to the one on the present necklace. Thus, on the available evidence, we can safely attribute these beautiful necklaces to the Austral Islands, those specks of land to the south of Tahiti which produced some of the finest art of the Pacific. The Australs culture, briefly glimpsed by Captain Cook in 1769 and again in 1777, was more or less intact when Fletcher Christian and the other Bounty mutineers arrived there in 1787. Missionary influence and introduced diseases effectively destroyed the old way of life and today this is merely a remote corner of French Polynesia with a total population of 6500 and virtually no trace of the original culture. The survival of a few Australs masterpieces, such as the necklace offered here, is of the greatest importance. These objects are silent witnesses to a tradition of superb craftsmanship which has disappeared for ever. The necklace may be compared with three examples in the Oldman collection (illustrated in Oldman, 1943, plate 21, nos. 477, 478, 479) and with three in the Hooper collection (illustrated in Phelps, 1976, plate 83, nos. 654, 655, 656). Understandably, very few Australs necklaces have ever appeared at auction. One of the Hooper examples (no.654) was sold at Christie’s, London, June 17, 1980. After many years in the De Menil collection this reappeared at Sotheby’s, New York, auction on November 22, 1998. Another Hooper necklace (no. 656, the Edge-Partington example previously mentioned) was sold by Christie’s, London, July 3, 1990. This entry was posted in Auctions, Discoveries, News on December 5, 2016 by admin. The African American History Museum. Image courtesy of Alan Karchmer. 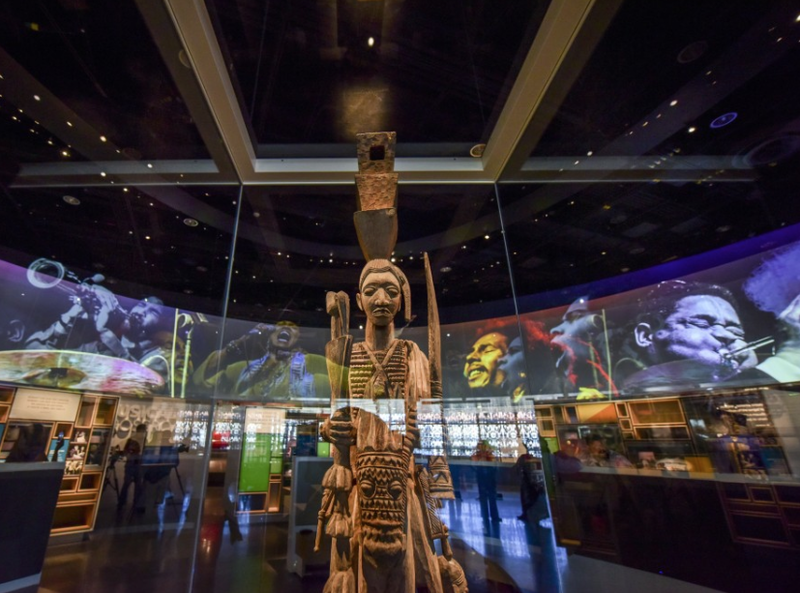 Here’s a fun fact about the new African American History Museum in Washington D.C.: the specific pagoda-like form was inspired by the top element of a Yoruba veranda post ! The building’s architect, David Adjaye, spotted the post (made by the famous sculptor Olowe of Ise) in an overlooked corner of the Museum Five Continents in Munich when designing the museum. In fact, the Munich museum owns two posts by Olowe, one now is on long term loan to the African American History Museum, while the other remains on display in Munich. 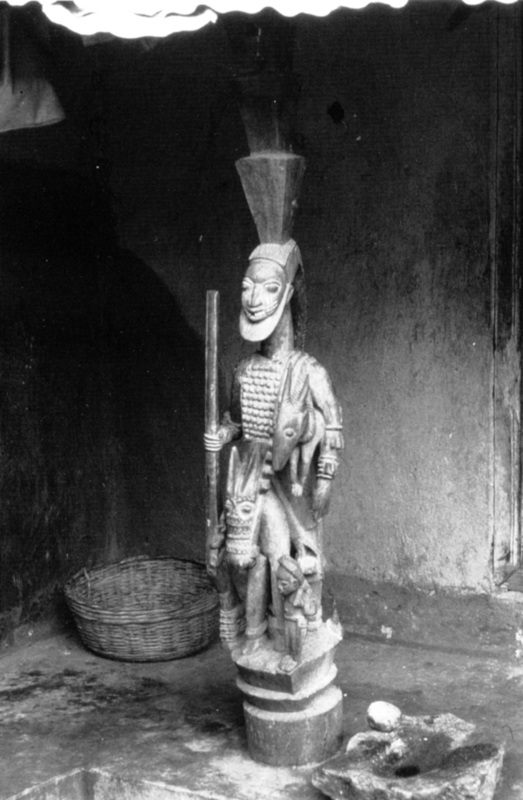 Both were carved circa 1930 and formerly in the residence of the Ojomu of Obaji in Akoko – before being collected by Gerd Stoll (from whose collection the museum acquired them). Image courtesy of Jahi Chikwendiu/The Washington Post. 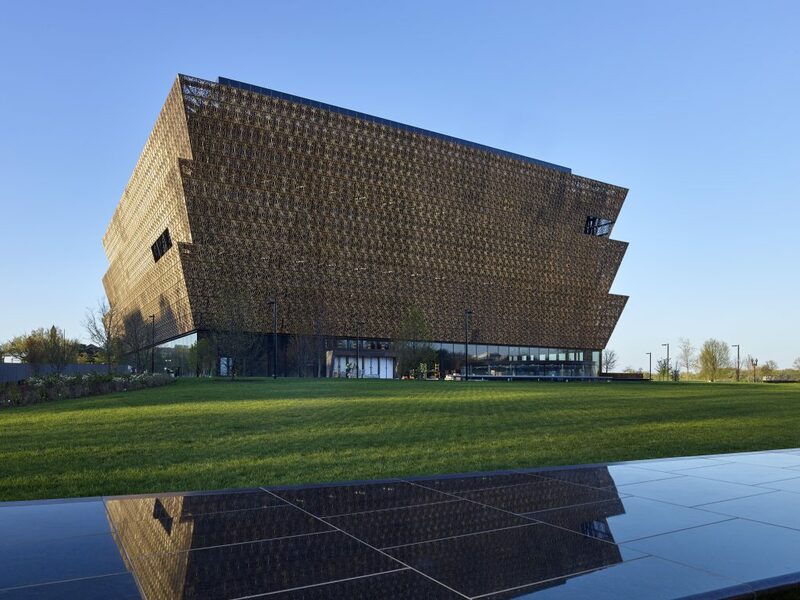 In this article in the Washington Post, David Adjaye, the sought-after British architect and son of Ghanaian diplomats, said he wanted to provide a “punch” at the end of the “row of palaces,” as he referred to the other museums at Washington DC’s National Mall. And the architecture needed to “speak the story of the museum, the origins in Africa,” he said, and not be another “stone box with things in it.” Adjaye recalls coming across a wooden sculpture of a man wearing a crown by the early-20th-century Yoruban artist Olowe of Ise. Adjaye had seen similar forms in Benin, in fragments of doors and posts and pillars. But the connection to the Yoruba, one of the largest ethnic groups in Nigeria, was more meaningful. A 2015 Oxford University study found the majority of African Americans and modern-day Yoruba people in West Africa have a similar ancestry, confirming that the region was a major source of African slaves. 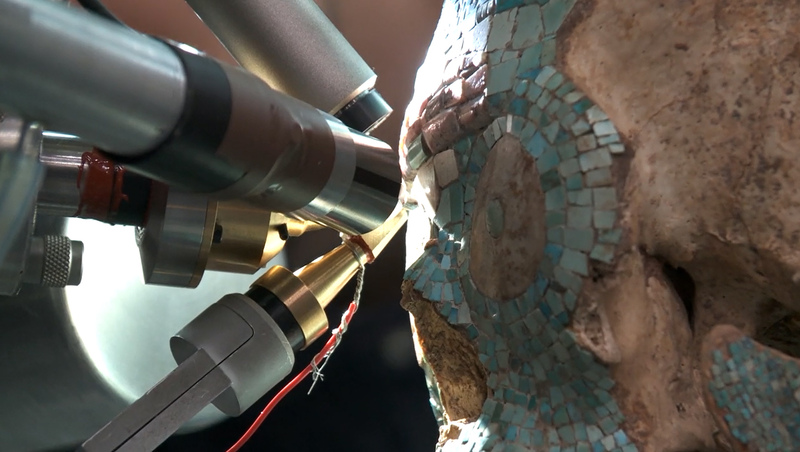 He sent an image of the sculpture to his collaborators. 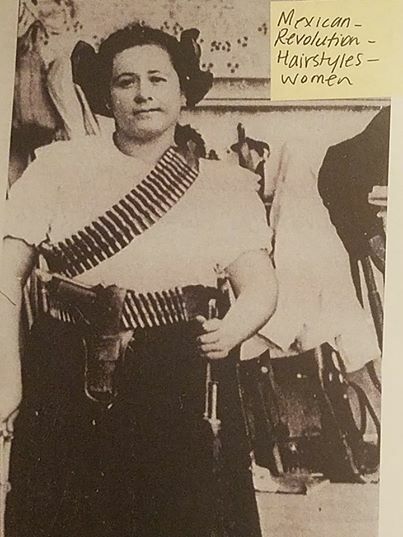 No other ideas were considered. “I think all of us were captured by it,” said Hal Davis of SmithGroupJJR. Surely it must be the only building in the world that is inspired by African art ! ps in several online articles this segment erroneously is described as a ‘crown’, surely it was merely a structural element to connect the figure with the veranda’s roof – as you can see on the field-photo below. However, I do recall the number ‘3’ has some symbolic meaning among the Yoruba, but I don’t have the time to dive into my books right now. In situ photo of the Munich Yoruba veranda post by Olowe of Ise – published in Walker (Roslyn Adele), “Olówè of Isè. 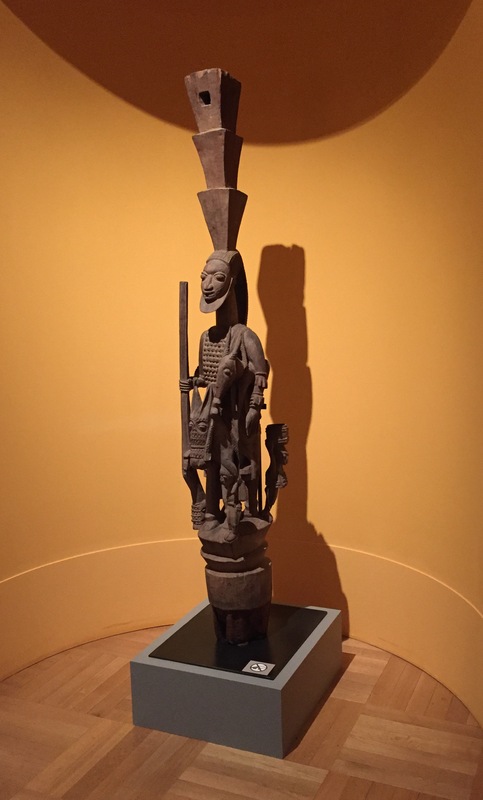 A Yoruba Sculptor to Kings”, National Museum of African Art, Smithsonian Institution, Washington, D.C., 1998. This entry was posted in News and tagged Yoruba on December 3, 2016 by admin.